A special strategy was adopted during the 5th five-year plan (1975-79) for accelerating development of the Scheduled Tribes. This strategy is called Tribal Sub-Plan (TSP). It is a mechanism under which each development department of the State Government is required to quantify and set apart an amount of their plan budget provision for implementation of schemes exclusively for the Welfare of Scheduled Tribes in Tripura. The fund so quantified shall not be less than the percentage of Scheduled Tribes population in the State. 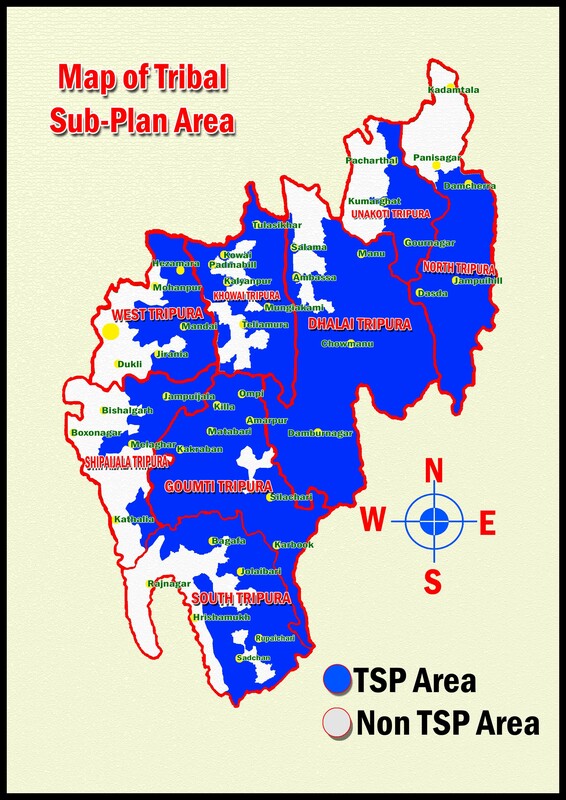 In Tripura, each development Department has to quantify at least 31% of their plan fund towards Tribal Sub-Plan. In 1995-96, an important decision was taken by the State Government to the effect that the fund earmarked as Tribal Sub-Plan should be booked against the Budget Demand of the Tribal Welfare Department (Demand No.19) and the Development Departments would implement schemes. The intention behind the decision was to check diversion of fund from TSP. The Tribal Sub-Plan includes schemes for providing common benefits to the Scheduled Tribes as well as individual benefit to Scheduled Tribe families for the purpose of up-grading their livelihood. The main role of the Tribal Welfare Department, Government of Tripura is to coordinate, monitor & supervise the schemes implemented by the various Development Departments of the State in the Tribal Sub-Plan area. Copyright© TRIBAL WELFARE DEPARTMENT. Designed & Developed by Directorate of Information Technology, Tripura.